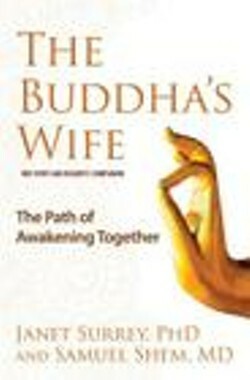 Presentation, Q& A & Book Signing with Dr. Samuel Shem: "The Buddha's Wife"
What do we know of the wife and child the Buddha abandoned when he went off to seek his enlightenment? The Buddha’s Wife brings this rarely told story to the forefront, offering a nuanced portrait of this compelling and compassionate figure while also examining the practical applications her teachings have on our modern lives. Samuel Shem (a.k.a. Stephen Bergman), MD, is a doctor, novelist, playwright, and activist. A Rhodes Scholar, he was on the faculty of Harvard Medical School for three decades. His co author and partner Janet Surrey, PhD, is a Buddhist dharma leader and clinical psychologist.